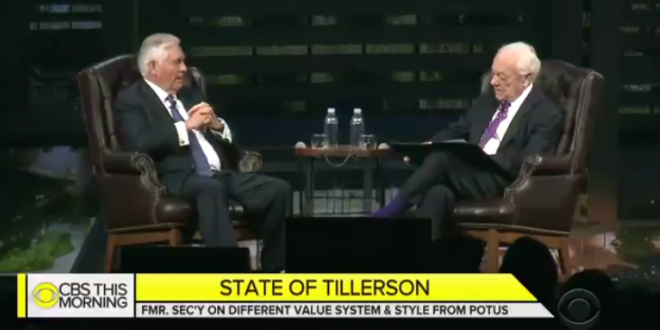 Tillerson Unloads On Trump: He's Undisciplined, Won't Read His Briefings, Likes To Do Illegal Things [VIDEO] - Joe.My.God. The fired secretary of state, who while in office reportedly called Trump a “moron” (and declined to deny it), expounded on his thoughts on the president in a rare interview with CBS News’s Bob Schieffer in Houston. It wasn’t difficult to read between the lines.